Is that a mud mask or is that Nutella on your face, James McVey?! Popstar Pampering - 12 Celebrities Who Love A Good Old Face Mask! 4. 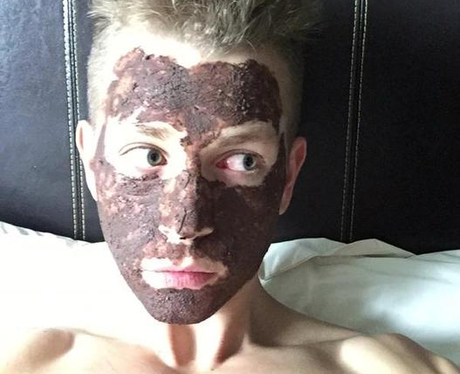 Is that a mud mask or is that Nutella on your face, James McVey?! The Vamps star James always keeps his followers up to date with his skincare regime on social media. We're totally stealing some tips! See the full gallery: Popstar Pampering - 12 Celebrities Who Love A Good Old Face Mask!